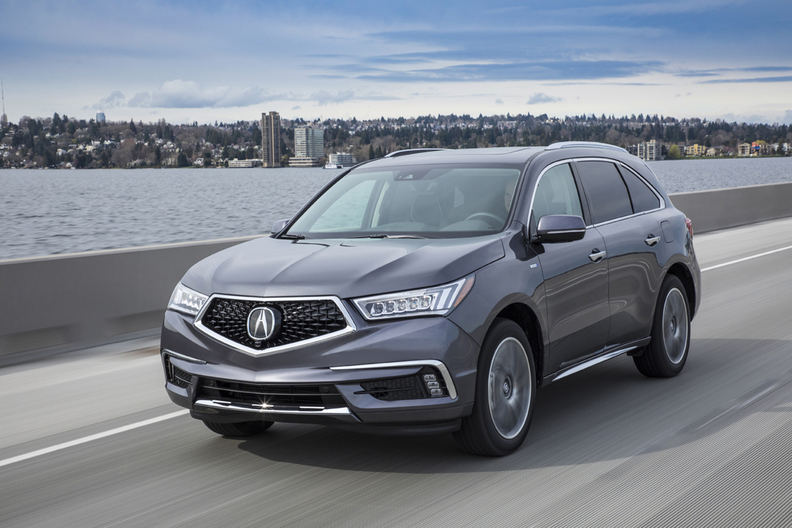 The Acura MDX crossover is heading toward its eighth straight year of sales of 50,000 units or more. Acura sold 3,982 MDX models in March. Honda Motor Co.'s luxury brand Acura is recalling more than 360,000 crossovers with faulty taillights that could go dark. The recall is mostly in North America and concerns certain 2014-19 Acura MDX vehicles. Documents released by NHTSA on Tuesday revealed that around 323,000 of them are in the U.S. In the filings, Acura said the rear tailgate lid light seals may deform because of body variations in tailgate manufacturing. Low temperatures can stimulate the gasket's deformation and allow water leakage and moisture, which may cause the light to stop functioning. In some cases, Acura said, water also may cause a short circuit and a blown fuse. This can lead to loss of lighting in some interior elements and other exterior lighting. Acura said its dealers will replace the gaskets in both tailgate lid lights with updated parts or replace the lid light assembly, and, if necessary, the wiring subharness. Owners will be notified by mail early next month. American Honda Automobile Division boosted U.S. sales for the Acura brand in March, largely driven by the ILX sedan and RDX crossover. In March, Acura's U.S. sales increased 6.4 percent, as resurgence continued with an 8.9 percent gain in the first quarter. The MDX is headed toward its eighth straight year of 50,000 sales or more. Acura sold 3,982 MDX models in March. The Associated Press first reported the MDX recall.